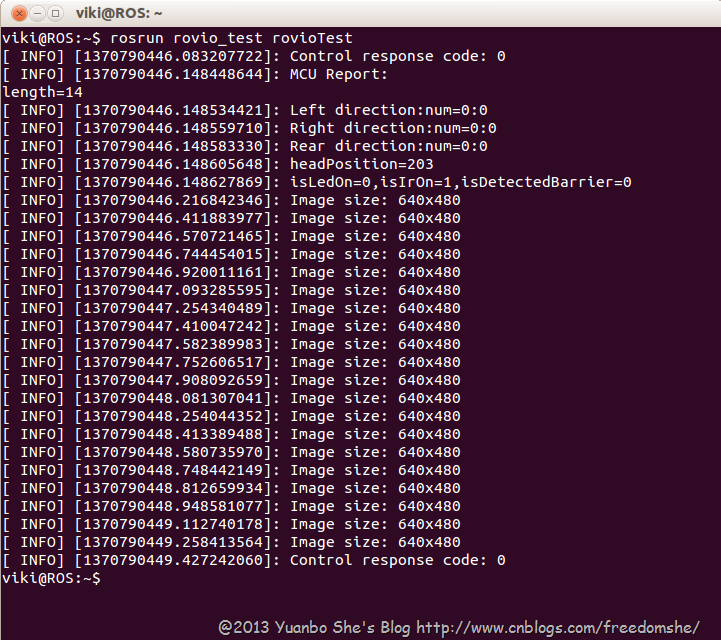 Paste the following code in to rovioTest.cpp and save. About how to use the API, you can refer to Rovio API document. The above test program shows that three services you can use: "rovioControl", "rovioImage" and "rovioReport". You can find them as ManualDrive(), GetImage, GetMCUReport () in the above document. 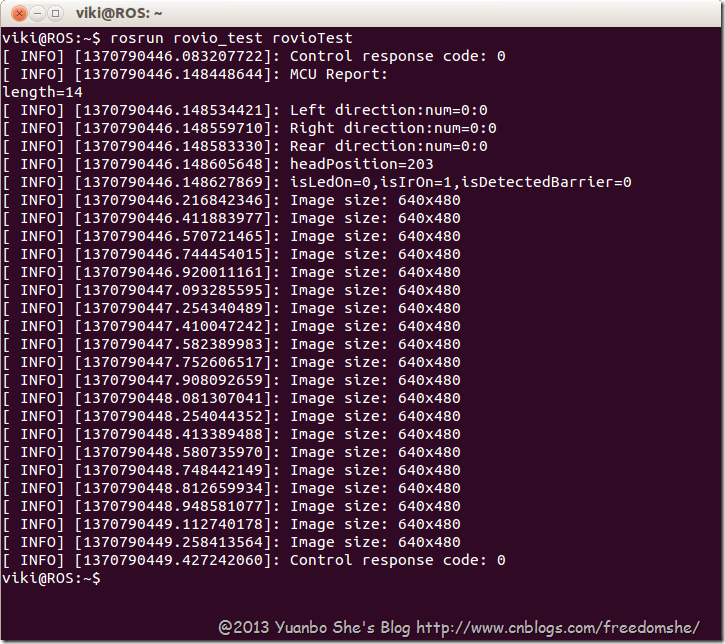 Also, you may prefer to use the rovioParser class directly, that avoids using ROS's service and client frame. 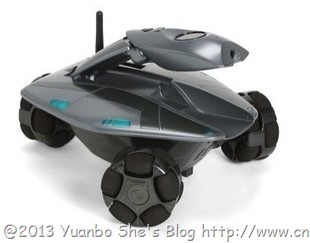 After you executed the last command, your WowWee Rovio would head middle and head down, and you would view the images from camera 2 seconds.